SimplyGo by Philips Respironics is a portable oxygen concentrator, delivering continuous flow & pulse dose oxygen therapy for patients struggling with breathing difficulties. Respironics Simply Go is an incredibly stylish, compact and lightweight device weighing only 10 pounds. 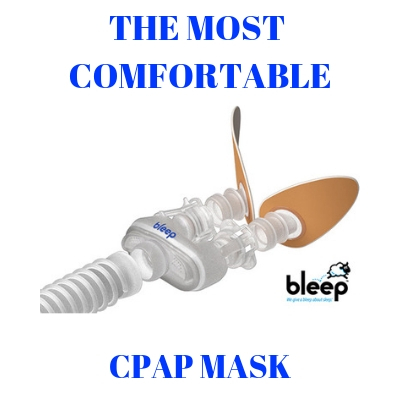 This therapeutic device synthesizes all the functional, design and performance features of a high-end concentrator, available at a price that you can afford. Simply Go by Philips is indeed the only portable oxygen concentrator that is capable of delivering both pulse dose and continuous flow therapy. With this device, physicians can manage in a highly reliable manner the therapeutic and lifestyle needs of a wide range of patients. 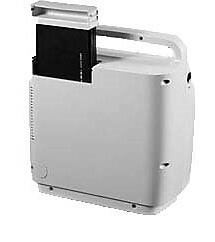 With the SimplyGo portable oxygen concentrator, patient management is indeed simplified. The intuitive control panel allows patients to read easily and quickly all data, while the controls are incredibly easy to see. Everything is available right at your fingertips with this stylish and compact portable oxygen concentrator. 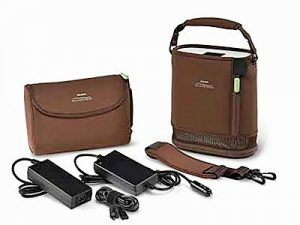 Even the basic device is packed with all the accessories patients need to start their comfortable therapy: a stylish carrying case, the SimplyGo POC, transportation cart, DC/AC power cords, detailed user manual, a case for the accessories and a rechargeable Lithium Ion battery. This Philips oxygen concentrator comes with an extremely high impact resistance design and many other features that speak about unparalleled ruggedness such as oversized inbuilt cartwheels and top quality building materials. It is important to mention that the manufacturer has thoroughly tested the product before releasing it on the market. Philips tested the product under extreme conditions such as high temperatures, greater impacts, and even vibrations. SimplyGo by Philips Respironics is a portable oxygen concentrator that delivers top performance even under not so favorable usage conditions. SimplyGo is the only portable oxygen concentrator combining three smart therapy delivery options: Continuous Flow Mode, Pulse Dose Mode, and Sleep Mode. Get the peace of mind you need that you will receive adequate treatment wherever you are and whenever you need it. Reliability. High Performance. Best Quality. SimplyGo by Philips Respironics. SimplyGo Oxygen is an innovative and intuitive portable oxygen concentrator that meets and exceeds the needs of patients who must rely on such help. Continuous Flow Mode- When in Continuous Flow Mode, the device will release a steady and continuous stream of oxygen. Patients simply need to adjust their required setting on the control panel. Pulse Dose Mode- In Pulse Mode, SimplyGo will ‘sense’ when the inhalation phase starts and will deliver a pulsed dose of oxygen. Sleep Mode- similar to Pulse Dose. However, ‘Sleep’ Mode will deliver a much softer pulse dose upon the exhalation phase so that your sleep will not be disturbed, but you will still receive required therapy. Besides the regular 10 pound concentrator, Philips also created the SimplyGo Mini for maximum performance packed into an even compacter design. Respironics Simply Go Mini is the smaller version of the Simply Go by Philips. 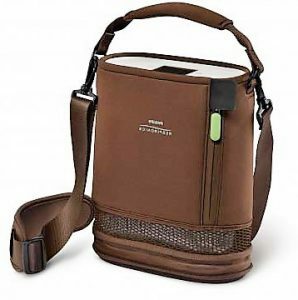 This portable oxygen concentrator provides a high oxygen capacity packed in a small size and stylish design. The concentrator weighs only 5 ponds, making it extremely easy to carry around and thus enjoying required oxygen therapy wherever you go. The Simply Go Mini is capable of delivering up to 20% more oxygen than other competitor POCs in the same range. The greatest majority of patients looking for compliant oxygen therapy and maximum portability will find the Simply Go Mini the most efficient solution. – What’s included: SimplyGo mini package includes AC power adapter for electric outlets, DC power cable for charging in the vehicle, stylish carry bag with comfortable strap & handle, accessory case, and your choice of battery size. With SimplyGo Mini patients can be self-confident on the go. The device is capable of delivering all the essential therapeutic requirements, while patients enjoy the freedom of movement at all times. Both Simply Go Oxygen and Simply Go Mini therapeutic devices should be purchased through reputable and experienced retailers only. please what is the price and how long time you need to ship after receive the money. Thank you for your question. We currently have the SimplyGo in stock and it can ship the same day paid. Out current price is $2,395.00. Shipping is free within the US but a charge for international shipping. If we can assist you please call us toll free from within the US at 866 923-2727 or internationally at 281 840.4504. Thank you. What is the failure rate on the SimplyGo compared to other poc’s, including those which are pulse only? How are replacements/repairs handled if I don’t live in your service area? How are replacement/repairs handled if needed while traveling in the US? While traveling abroad? You have some very good questions about the SimplyGo. Let me see if I can answers them for you. 1. Any POC can fail and during the life of a unit it will need to be sent in for repairs at some point. We have found that the SimplyGp has been very reliable. The SimplyGo and Inogen One in our opinion are the two best machines on the market with the lowest failure rates. 2. If the unit should fail while under warranty you will contact us for support. We will handle getting the return authorization from Philisp Respironics and will forward you an prepaid return label to send the unit needing repair directly to Respironincs. Once repaired the unit will be returned to us so we can check it out prior to shipping it back to you. 3. While traveling within the US we will do everything possible to get your unit repaired and returned to you or replaced if possible. 4. With a failure outside the US we are unable to offer expedited service. Do you have a payment plan for the mini concentrator or is it a cash sale only? We gladly accept MasterCard, Visa, Discover Card and American Express. In addition if you have or set up a PayPal Account you can apply through our site for 6 months with no interest. Please call us if we can assist you at (866) 923-2727. My Mother has Medicare along with her supplement insurance. Does that pay for any of the cost of this? She does have a prescription and medical documentation. The only way Medicare will help with payment is if you get the company currently providing her oxygen to give you a SimplyGo. I do not think you will have much luck with that as the amount Medicare pays will not even cover the cost of the machine. The vast majority of oxygen user purchase their portable oxygen concentrators out right. If we can assist you please call us toll free at (866) 923-2727.
can the warning alarms be disabled? They terrify my dogs, and because of the high frequency, I can’t hear them anyway. Many of your potential customers must have the same problem. Why not a lower frequency? Smoke alarms are the same. To silent the alarm on the SimplyGo a you have to do is press the bell symbol on the screen. This is stop it from alarming.